Microsoft Talk it is a popular software which is really of fun and enjoyment but it is also can be used for learning purpose. if you can't pronounciate a word so just copy that word and paste in the text box and press "Talk it!" you also can copy a lot of sentences and paste it in the text Box and by pressing "Talk it"
all words are be talked. You can choose different characters to talk ,you can choose a men or a boy or a kid and some others.Talk It ! software is simply awesome text to speech client official delivered by Microsoft which aims for some fun and humor. Now you can be kids and enjoy this amazing software which can make sounds of any character displayed. 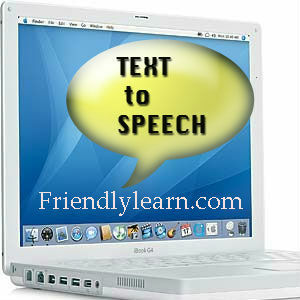 You just need to type some text than you choose which characters sound you want and click on Talk It! button displayed and it will start repeating those sounds.